The Gateway to Your Future! The Only UK Magazine that brings you news, information and articles about all types of Study Abroad. 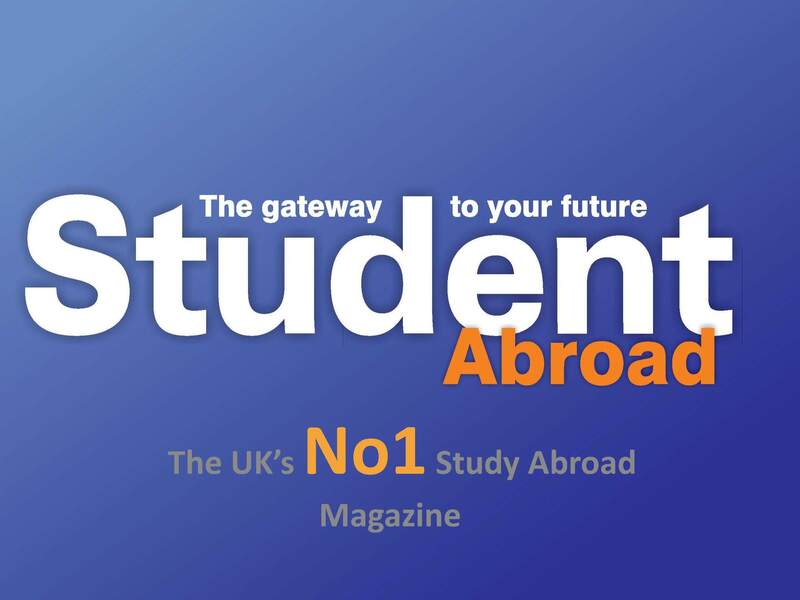 The No1UK magazine for study abroad. •Designed by the UK’s premier marketing agency for education abroad . •Distributed by one of Europe’s major magazine distributors. •Aimed at parents, students and business people. •Available in Airports, Supermarkets, Cruise terminals, Universities and selected businesses. •Market value £5 billion p.a. •Media Information•New and Interesting content in each issue. •Real Students, real stories , blogs , interviews and opinion . •Well written articles about education opportunities outside of UK.•In country and visa news. •Stop over and Gap Year information.•Cultural Information. •Advice for parents and students.